We will be celebrating the fourth class of the Texas Rugby Union Hall of Fame in late August or early September at TBD location. We hope you’ll join us to celebrate those lives and careers that are inextricably woven into the fabric of our history. The evening will begin with a cocktail hour and then we will move into the banquet room for a formal dinner. Attire for the event is semi-formal or “Black Tie Optional”. Tickets can be purchased by clicking on the “tickets” tab above; all tickets must be purchased two weeks before the event date. If you have any questions or concerns about the TRU HOF, please contact admin@texasrugbyunion.com. *Those present at 2018 banquet. Click the ‘Add to Cart’ button below and you can pay through Paypal or use the credit card option on the screen. If you would prefer to purchase directly, please email Wendy at admin@texasrugbyunion.com. 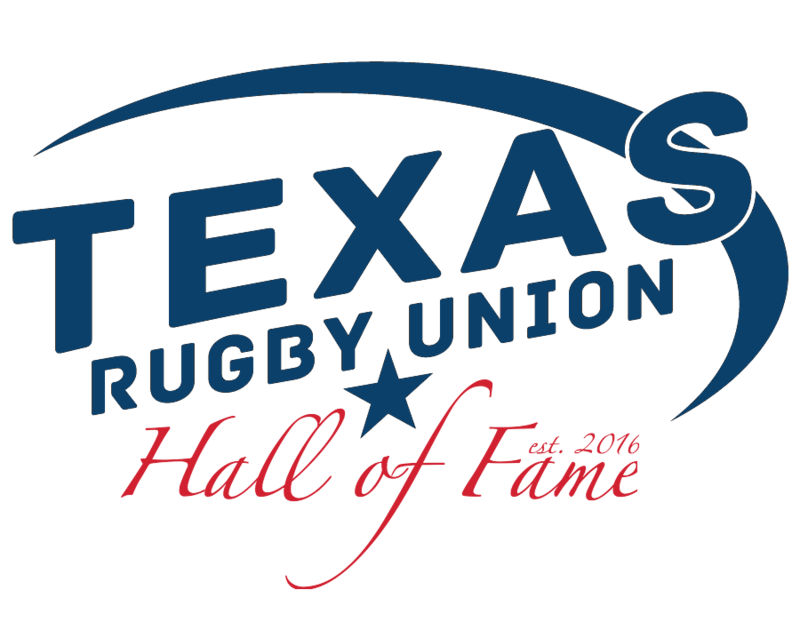 In 2016 we were ecstatic to introduce the Texas Rugby Union Hall of Fame, a year-long celebration of individuals whose lives or careers are inextricably woven into the fabric of our history. In the first year, we inducted 10 nominees and we will look to inducting more each following year. All TRU members past and present are eligible. It is highly recommended that nominees are submitted based on their “body of work” and growth of rugby in the Texas Rugby Union. If the individual was only involved in one area (example as only a player or just a coach) the submission would have to be that much more extraordinary to be considered. Selection and voting of the HOF members will be done by current HOF members and TRU Board members. Nominees cannot vote for themselves and will be required to recuse themselves. Each voter will select their top five nominees in order from top to bottom, with a one as their highest pick. After tabulation, the top five most voted will be inducted into the HOF. Votes will be collected digitally and announced on the TRU website. An anecdotal history by S.G.B. Tennant, Jr. can be read in the PDF “The First Decade”. Click on learn more to read a summary of the founding clubs and defining moments in our history.